Rent a bike in Margao to experience South Goa: Rent a bike in Margao, a bike rental service that supplies bikes on rent, that you can take to various places ofMargoan and its surroundings.Margoan is located in south Goa and is the second largest city of Goa. It is also the economic and cultural capital of Goa. Your visit to Goa will not be complete without visiting this administrative capital of South Goa. Being an economic capital, it is a very busy city. Margao has many names in different languages. In Marathi it is called Madgaon, Konkani people call it Madugaon, in Sanskrit it was called Mathagrama. Before the Portuguese came, this place was a habitat of some vaishnavites. There was a big Shiva temple and many other temples. Then when the Portuguese came they demolished all the previous establishments and built Churches instead. Therefore, the life of Margao has got an interesting blend of Portuguese and old Indian culture. To experience it you must take long rides across the city with Rent a Bike in Margao. Rent a bike in Margao is a Goa based service, therefore it reflects the spirit of Goa. Your comfort is our priority. We have a wide range of good looking, well maintained bikes with us, that we give on rent at competitive price. Be it a scooter or a simple bike or a superbike, we got it all. Bike delivery will be hassle free. We will come to your place to deliver a bike. No maintenance charges will be there but we will charge you for the damages that caused by you. All the details will be conveyed to you if you dial our number+91 22 6836 3333 once. You can also download the Rent a bike in Margao app. Our customers prefer to book bikes online to avail various discounts. We have a separate team to look after the quality of our service. We invite your valuable feedback for our betterment. 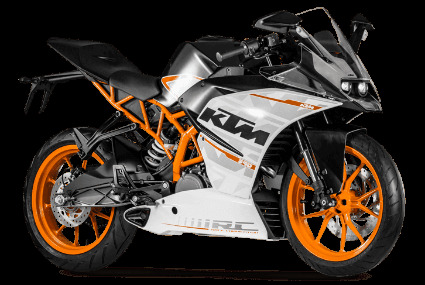 Looking To Rent A Bike in Margao ? We recommend that you try out our Rent A Bike service in Margao, the tourist paradise to get your budget in place and enjoy fresh breezy beach air in open sun ride. Bike rental services are usually availed by tourists especially foreign tourists. Like other big cities of Goa, Margaon also has got many tourists spots in its bag. There are various Indo-Portuguese establishments that can be seen throughout the whole city. The Holy spirit Church, Largo de Igreja, Mount church,Margson municipal library are few examples of Indo-Portuguese establishments. Colva beach is 5 km away fromMargoan city. Monte hill is the hill that gives you a top view of this beautiful city. The old market in Margao was there even before the Portuguese invasion of Goa. One can find many handmade crafts, the famous Goan curry; that is famous in both countries Portugal and India, Goan clothes, many Goan delicacies, fried fish, spices etc. It’s a popular shopping hub for tourists as well as locals. With a bike ride you can visit all these places smoothly. Rent my bike inMargoan is ready to take you to every single lane and corner of Margoan. Come and experience the adventure to make your stay in Goa a successful one.